Food bank distributions allow for a natural meeting place and time for community organizing around nutrition and hunger. 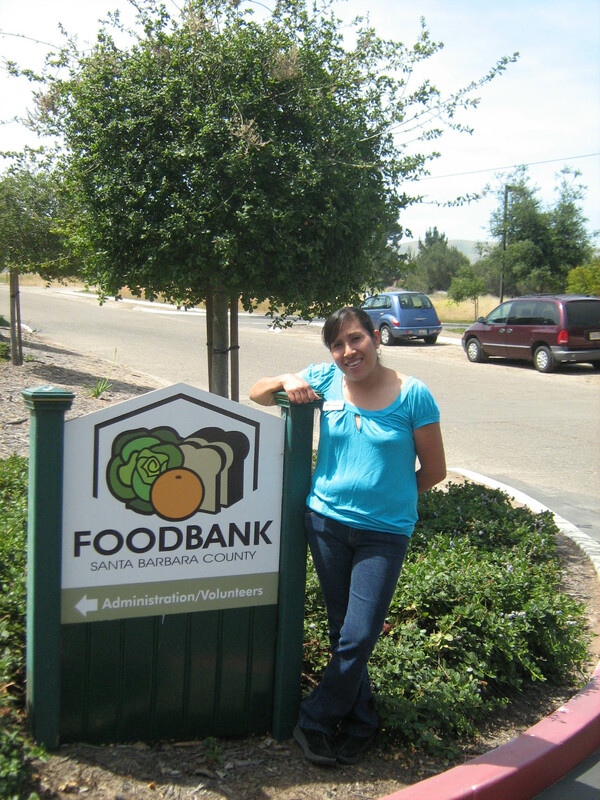 To facilitate grassroots change the Foodbank of Santa Barbara County has developed Nutrition Advocacy Committees at countywide distributions. Each committee consists of individuals from the community who participate at a specific pantry or farmers market. The grassroots teams meet prior to the distributions and are led by the Foodbank’s Nutrition Leadership Organizer. These small group discussions initially focus on how to improve the distribution to best meet the needs of the surrounding community, the community they know intimately. The committees assess opportunities for improvement and collectively come up with solutions to support identified opportunities. Example include what is the best time for the distribution, how to spread the word about the distribution and the types of foods distributed. The success of the Nutrition Advocacy Committees is represented by members distributing bags of healthy food and recipes to disabled neighbors who are unable to attend the distribution or by the community engaging in pot-luck prior to the distribution featuring nutritious makeovers of every day meals. Once the committees see how their efforts can change the culture of the food bank’s services they are then encouraged to take the next steps toward nutrition advocacy and health equity. Growing stronger and more empowered committees start to take increasing responsibility for the distribution. They may work towards aggregating additional services at the sites while simultaneously recruiting distribution participants to actively engage in the process as well. In order to accomplish the layering in of services, as an example, a list of services plus relevant contact information may be given to the committees. They can then start a campaign to solicit organizations, using their own voices, rather than the food bank lobbying on a community’s behalf, which is what typically done. In the end the vision is for grassroots advocacy to expand beyond the confines of pantry distributions with individuals working towards projects that promote health and food security in the broader community. Each committee will have unique needs with different desires to organize around things such as community garden development, EBT at local Farmers Markets, healthy school breakfasts and lunches, and grocery store access among others. Food banks provide the meeting place, training and resources and the Nutrition Advocacy Committees provide the knowledge of their nutritional needs and the passion to change the balance. Together this is as a powerful tool for change.